Are you ready to create better designs and charge more for your work? The better you can design, the more you can charge. Increase your earning potential and command more for your services. With the CSS basics under your belt you can expand your design service offering and create new revenue streams. With a strong foundation in CSS you'll have the confidence to go after higher paying projects you wouldn't normally try. You know you need to learn CSS but it's just so confusing and you don't know where to start. You've taken one or a ton of other CSS courses but nothing seems to stick and you're still confused. The courses you have taken are too advanced and they didn't leave you with a solid understanding of CSS. You get by asking questions and copying code snippets but you still don't understand what it's doing. The courses you have taken are general CSS courses and you don't understand how you can implement what you have learned within Divi. The course you took was OK but you didn't like the teaching style and that affected your ability to learn. IF YOU SAID 'YES!' TO ANY OF THE ABOVE THEN THIS COURSE IS FOR YOU. Lessons accessed on demand so you don't get overwhelmed, have time to practice and build your skills at a steady pace. Tasks to complete, quizzes to take and a live environment to experiment with what you have learned. Details of the best programs, websites and processes to use to speed up your learning and make you more efficient. 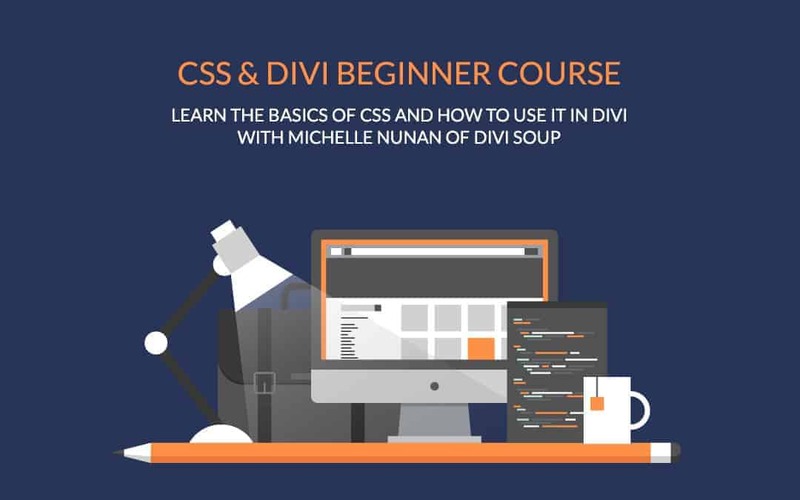 The CSS & Divi Beginner Course is delivered in 10 modules containing multiple bite-sized lessons, each covering a specific area of CSS and how you can apply it within Divi. Content is on-demand so you have the time to practice and build on what you learn at your own pace. Including any updates and additional modules. Where you can ask questions and get issues solved. Where you can get support from me and other students. To me for support with any course related issues. 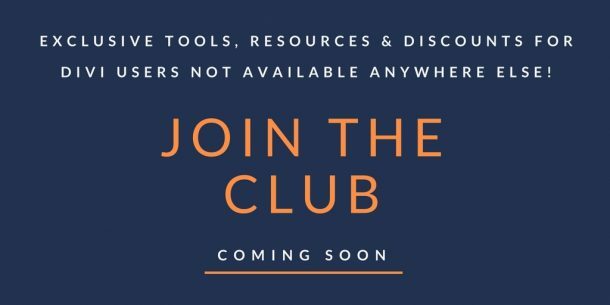 Tools and resources to speed your learning. "I took Michelle’s CSS course as an antidote to blindly copying random code from anywhere on the internet, then saying a prayer as I refreshed the page. I wanted to understand what was going on inside that Greek text, and wanted to be able to use the inspector in my browser to perform some magic. Michelle’s course delivered and then some! I know of many places online to learn CSS, I know of only one person that will have you master it in a very short time. The course is structured and most importantly, very well taught. Sign up, have a glass of red wine ready, and dig in! Divi Academy CSS Course is the Shiznizzel. Michelle's course for CSS is a must for anyone who is even remotely interested in creating websites. First of all, the course is broken down into digestible parts. This is extremely important considering the amount of information that is packed into the sections. CSS can be frustrating for the novice and even rough on the experienced. This class pulls it together in a logical and clear cut manner. Secondly, the information is real world usable information. Instead of taking you through scenarios that don't always translate when it's you and the code, her course take a natural progression that enables you to think it through when working on your own projects. I've only been through some of the lessons, and already the information is sticking with me because I find use for it daily. I've taken other classes, and never was able to get so much so quickly. Michelle's class is only bettered by her Facebook Group support and bringing some great people together. I highly recommend all Michelle's courses, she makes things so easy to understand, even if you never heard about these things before. And I also never find any Teachers who share all their tricks with students, but Michelle does! She shares everything that you need to be successful! I am grateful for all time I can spend with these great classes!!! My second course with Michelle. I was tired just copying and pasting snippets without any knowledge of what was going on. Yes, all the basics we can "Google it". Michelle, however, has a unique gift to hold valuable information logically into small sections so as to understand everything. Plus examples of a "homework". If I forgot something, I can happily go back and look at the material which is well organized within the course. I really enjoyed it, thank you Michelle. After years of "sort of" getting CSS I decided to take Divi Academy's CSS & Divi Beginner Course. I almost passed up this course concerned it would be too much of a beginner course. It did cover things I already knew but it also gave me a more solid foundation to build on. It reinforced and expanded my knowledge as well as introduced new components and tools. Since taking the course I have pushed myself to go deeper with CSS and it is because of what I learned from a true CSS expert, Michelle Nunan.